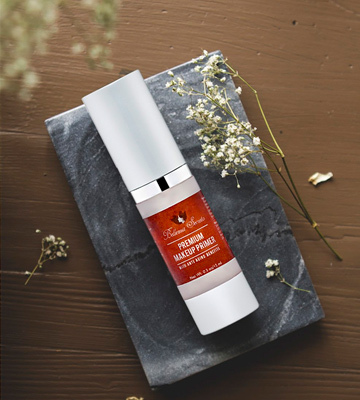 An innovative composition with an anti-aging formula and vitamins not only make oily skin matte but also feed and moisturize it, extend youthfulness, and give your face a natural glow. The product doesn't last very long. The Bellezza Secreto primer will help you create a gorgeous and long-lasting makeup for the whole day. Its light gel structure applies easily and smoothes all the imperfections including redness, large pores, and small scars. The formula contains a pearl powder which effectively controls the production of sebum, sparing you from oily shine and perfecting the skin tone. Some customers find the moisturizing effect unimpressive. 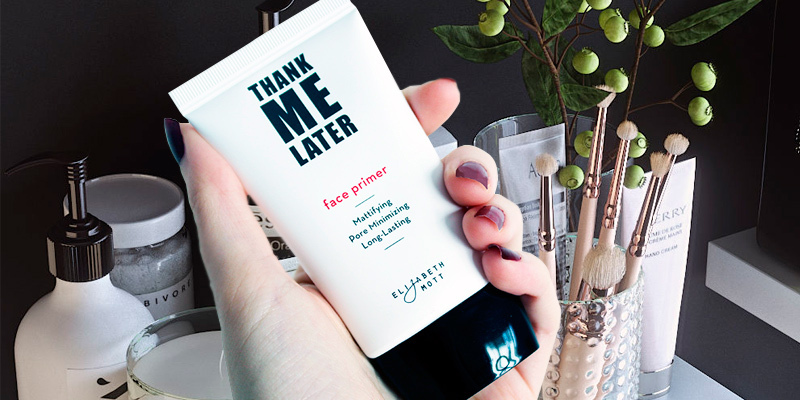 The Elizabeth Mott Thank Me Later helps create a matte finish and a perfect makeup which will look fresh throughout the whole day. The primer locks your foundation in place without making it feel like a mask. Thanks to the shimmering effect of the primer, it can be used as a highlighter to enhance the glow of particular parts of your face. The L'Oreal Paris face primer is perfect for correcting your skin tone and hiding roughness. The primer contains a complex of components that moisturize and feed the skin, making it silky and soft to the touch. The texture of the primer is pretty thick but it applies and blends easily and softly. It quickly absorbs and doesn't clog up the pores, yet effectively masks them and makes them completely invisible. The scent may seem too sweet. The Aritaum primer is a wonderful base that will make your skin matte for a few hours. The primer will help pores create as little sebum as possible, so your skin will be protected from glisten and your makeup won't move. It also has a soothing effect and protects the skin from drying. Thanks to the ultralight texture, the primer can be applied as an individual skincare product if you want to have a fresh look and moisturize your skin at the same time. The effect from the primer may be shorter than advertised. 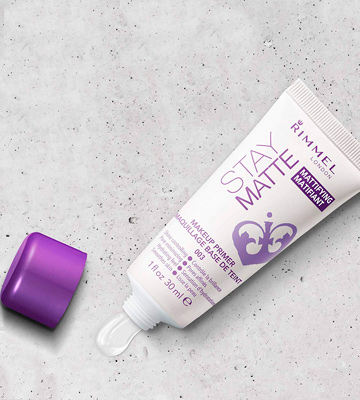 The Rimmel Stay Matte Primer is a perfect solution that helps you prepare your skin for the foundation. 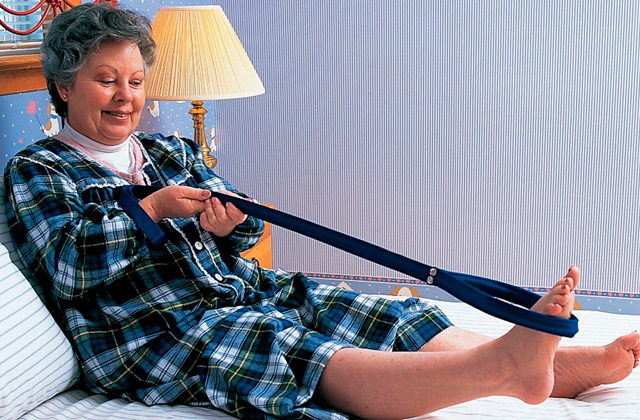 This base has a wonderful matting effect, plus it also protects you from unpleasant outside factors. The Belezza Secreto Premium Makeup Primer is a must-have for those who struggle to achieve a perfect skin tone or make it last a long time. This face primer acts as an adhesive and makes your foundation stick to your skin and not move throughout the day. The product has a non-greasy gel formula that is very easy to apply. 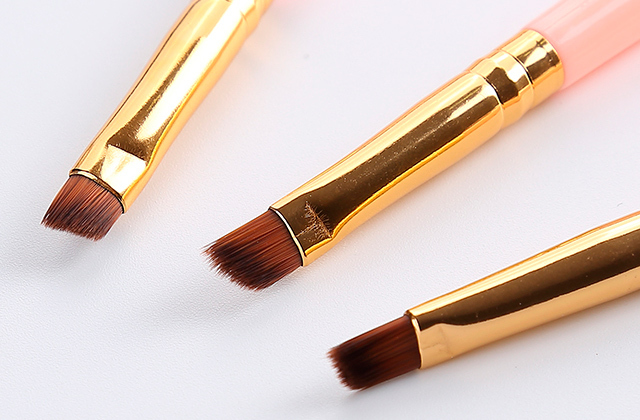 You can use makeup brushes, sponges, or simply your fingers to quickly smooth it out. It hides all the imperfections including redness, large pores, and small scars and acne. The primer has a pretty long-lasting effect (8-12 hours), so you can be confident that your makeup will survive the working day or the whole night out. The next great thing about this primer for oily skin is its innovative composition. Made of organic premium-quality components, it is safe for even the most sensitive skin. It is also fragrance- and paraben-free. Its anti-aging formula enriched with Vitamin A, C & E not only makes oily skin matte but also feeds and moisturizes it, extends youthfulness, and gives your face a natural glow. The primer comes in a bottle with 0.5 fl.oz volume. A lot of people suggest that, used on a daily basis, it runs out rather quickly. So you'll probably have to purchase it quite often. Other than that, if you need a primer that will take care of your skin and help your makeup last through the whole day, the Belezza Secreto Premium Makeup Primer will suit you perfectly. If you are going for the airbrush effect for your skin, the Thank Me Later Face Primer should be your number one choice. It will become your very own real-life filter, making your foundation look impeccable for up to 12 hours. The composition of the primer contains a pearl power, which effectively controls the production of sebum, sparing you from oily shine and perfecting the skin tone. The product also has a pore minimizing effect, so the overall look will be even. It doesn’t contain paraben and has no smell. Plus, this face primer is cruelty-free and is registered in PETA's Beauty Without Bunnies program. This product is water and sweatproof, so your makeup will stay in place even through the hot season. Some people point out that it creates a good matte finish, however, because of that, the moisturizing effect is not that impressive. This primer for oily skin acts as a good base not only for the foundation and concealer but also for eyeshadows. It makes the colors more vibrant than when you apply them on bare skin. So don’t forget to use it all over your face. 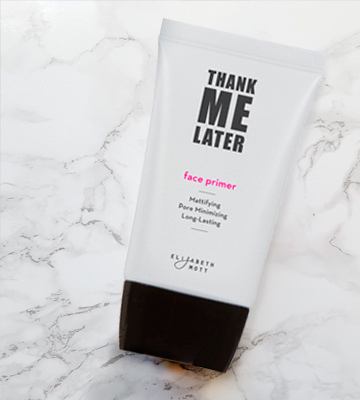 The Thank Me Later Face Primer locks your foundation in place without making it feel like a mask. 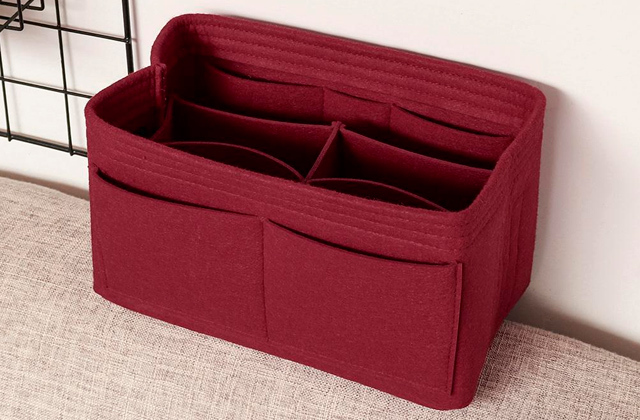 So if you need a product with a long-lasting effect, we couldn't recommend this one highly enough. 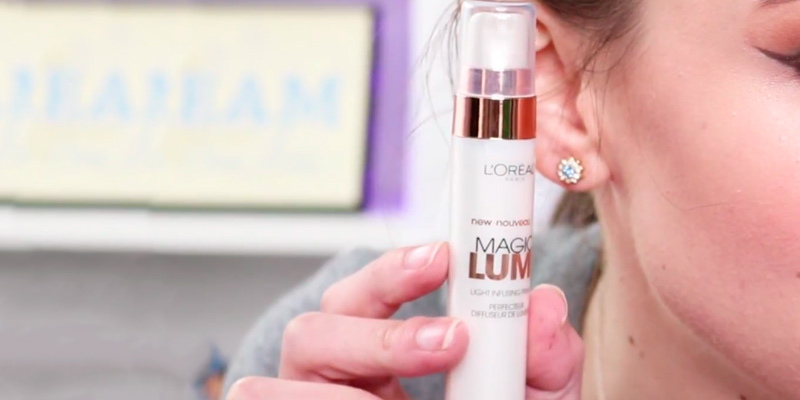 With the L’Oreal Paris Luminous Face Primer, you will be able to achieve a natural glow. 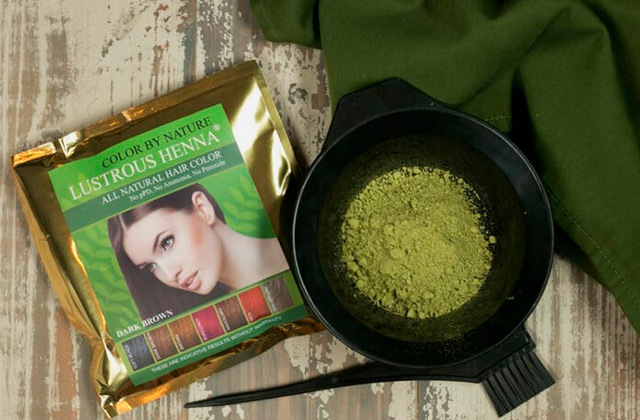 It is perfect for correcting your skin tone and hiding roughness. The primer has a light liquid formula that includes glycerin. 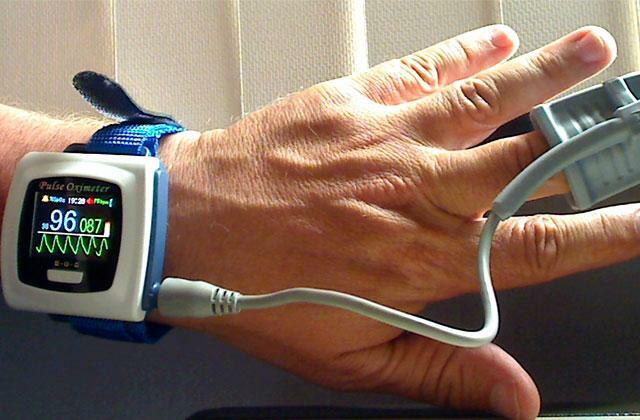 It seamlessly blends into your skin. It makes the skin silky and smooth. Plus, the solution has a great moisturizing effect. Even though the primer is not completely fragrance-free, the smell resembles an average sunscreen, so it won’t be that irritating. Thanks to the shimmering effect of the primer, it can be used as a highlighter to enhance the glow of particular parts of the face. You can apply it underneath the makeup, mix it with foundation, or add a highlighter on top of it. Also, a lot of customers agree that it works great if you need to hide dark circles under your eyes. The primer is suitable for all skin types, but it will be especially appreciated by those who have oily skin. It allows you to achieve professional results and makes sure your makeup doesn’t move for at least 8 hours. 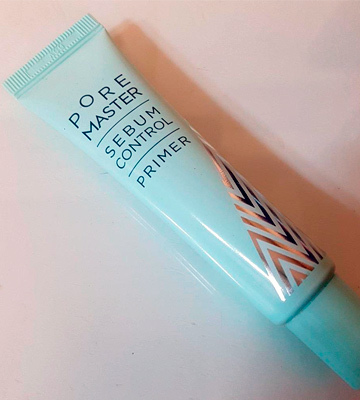 In short, if you need a primer for oily skin that will help you achieve a natural glow and prolong the wear of your makeup look, this product for L’Oreal will fit you just right. Its light formula is easy to apply and blend and it has a good moisturizing effect. Those who have oily skin and can’t get rid of unwanted glisten will enjoy the ARITAUM Pore Master. 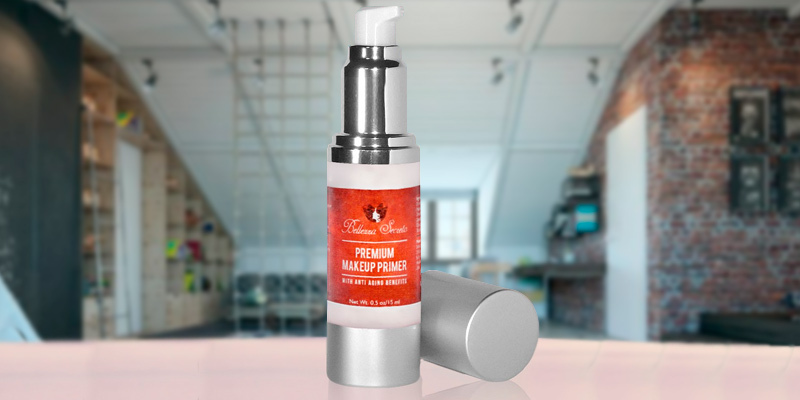 This face primer with sebum control reduces the oily shine and prevents your skin from breaking the foundation. The texture of the primer is pretty thick but it applies and blends easily and softly. It quickly absorbs into your skin. Thanks to the breathable formula, the primer doesn't clog up the pores, yet it effectively masks them and makes them completely invisible. 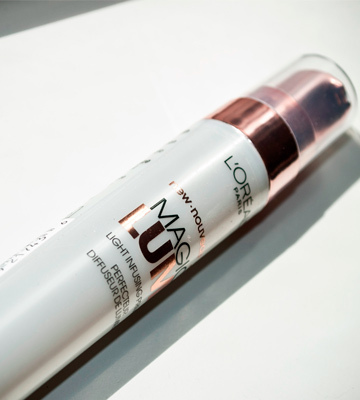 This product makes oily skin more matte. It also has a soothing effect and protects the skin from drying. The next thing worth mentioning is the primer’s compact packaging. It comes in a 0.9-ounce case that is easy to carry. 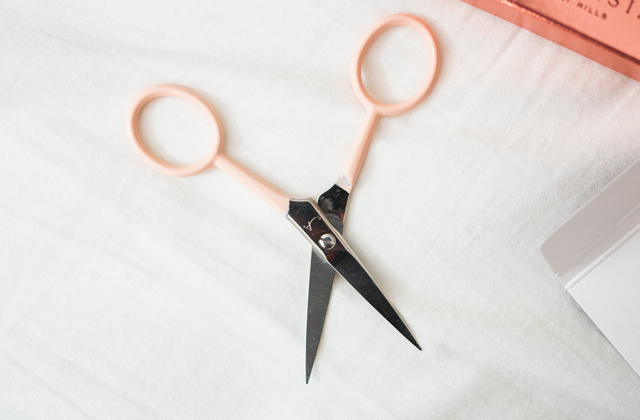 It won’t take much space in your makeup bag and you can easily take it with you in your purse. However, this primer may not suit those who like their makeup without any fragrance. A lot of users comment that it smells rather sweet. 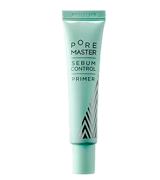 In conclusion, the ARITAUM Pore Master Primer is a wonderful base that will make your skin matte for a few hours. It smoothes out all the imperfections and hides large pores, so the foundation will glide perfectly. And the sebum control formula spares you from unwanted shine. 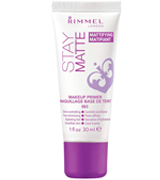 The Rimmel Stay Matte Primer helps reduce all the greasy shine and makes your pores completely invisible. This product has a super light thin texture. You can easily apply it and blend with your foundation. It serves as a perfect base that prepares your skin for makeup which prolongs the wear of your look. Plus, the primer can be applied as an individual skincare product if you want to have a fresh look and moisturize your skin. 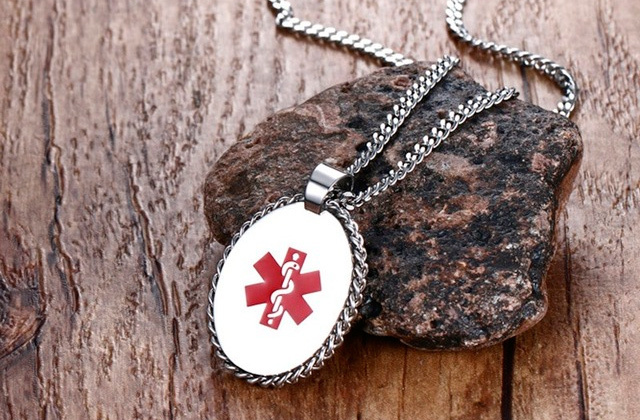 It will protect you from unpleasant outside factors. The primer is fragrance-free and, thanks to the non-greasy formula, you won't feel it on your face whatsoever. This primer from Rimmel lasts on your skin for 8 hours. That said, 8 hours is the advertised period and some customers claim that it actually lasts less than that. The product comes in a pack with 1 fl.oz of volume, so you won’t have to purchase it too often. We also like that it comes at a very affordable price, which makes this product an even more attractive option. 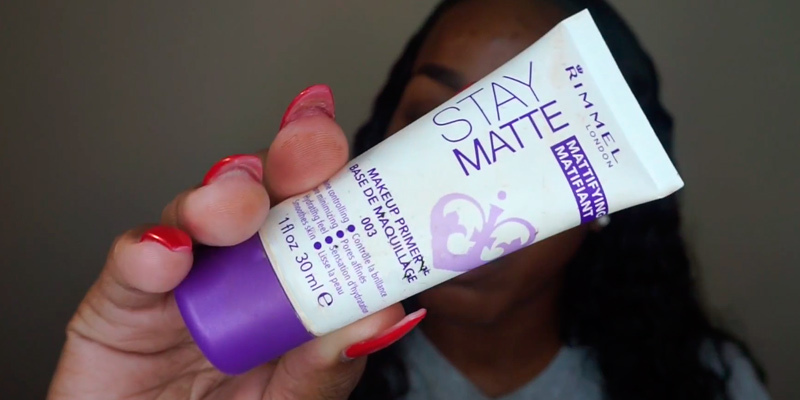 If you want to create a gorgeous makeup look that will last for many hours, we recommend using the Rimmel Stay Matte Makeup Primer. 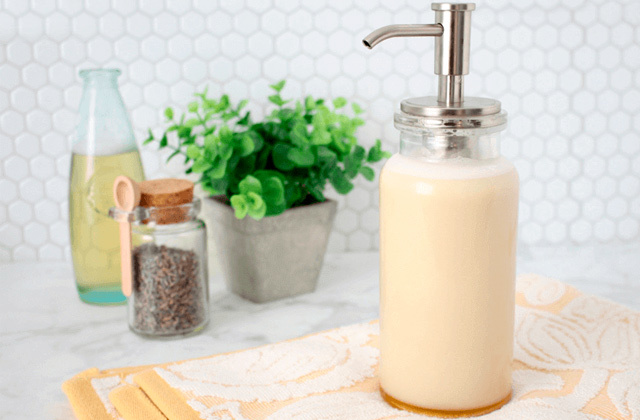 It will spare you from oily shine and glisten, plus it can become a decent replacement for your moisturizer. 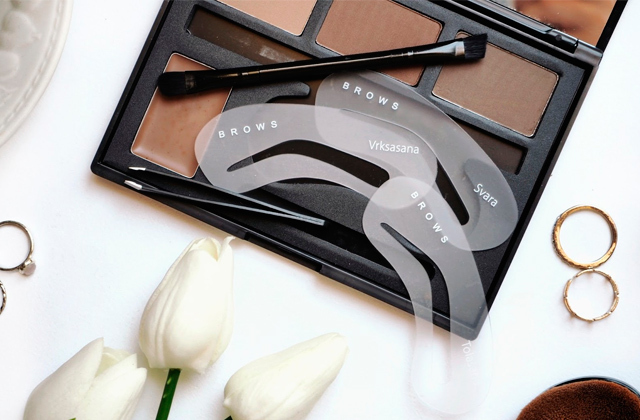 And for true makeup aficionados, we have selected the best eyebrow kits that will emphasize your natural beauty. What Is a Primer for Oily Skin? Rocking a flawless makeup throughout the whole day is every woman’s dream. 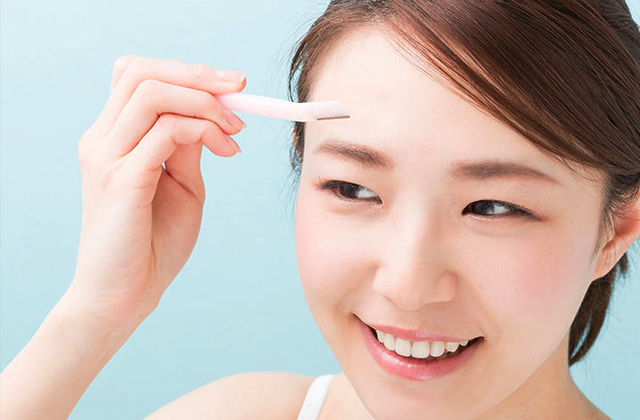 However, it is not that easy to achieve, especially if you have oily skin. Oily skin can break down your foundation and leave you with a greasy face in a very short time, no matter how quality your makeup product is. 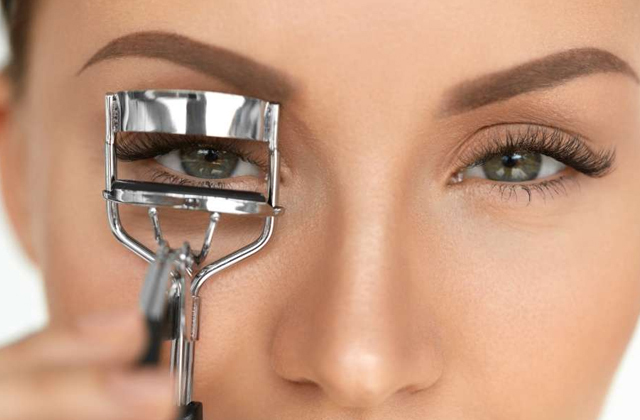 To make your look more long-lasting, makeup artists recommend using primers before applying makeup to your face. It helps your foundation, concealer, and other products to stick better and avoid melting or moving. Primers also have a masking effect. Thus, if you have large pores and some other little imperfections, this type of product can smooth them out and make less visible. Some of the products can also make your skin more matte, sparing you from unwanted glisten. All things considered, using primers is essential if you want your skin tone to look perfect. We picked five best primers for oily skin that will take your makeup game to a new level. 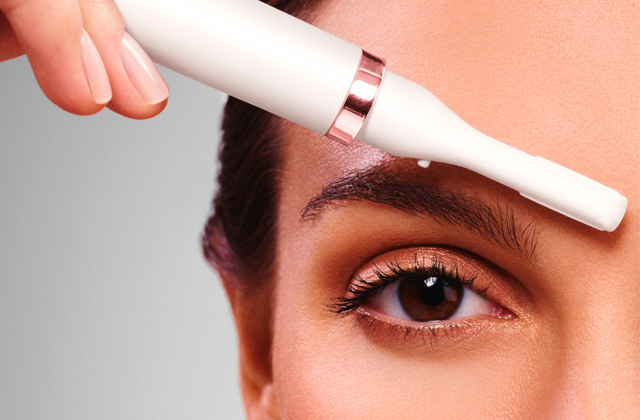 And if you take the skincare process very seriously and want to spend less time on makeup removal, we recommend these Clarisonic face brushes for the best cleaning results.